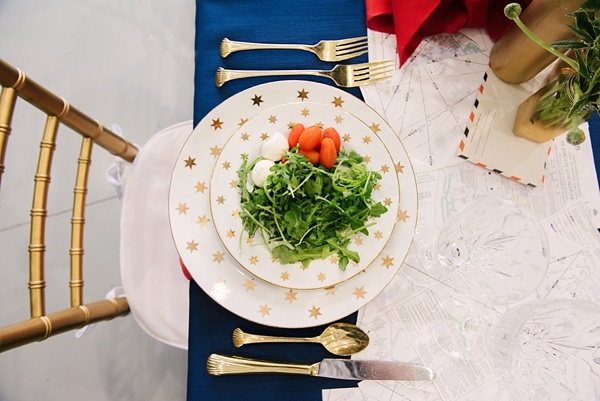 Summer is here, and that means BBQs, time with loved ones, sunshine, and especially Fourth of July! 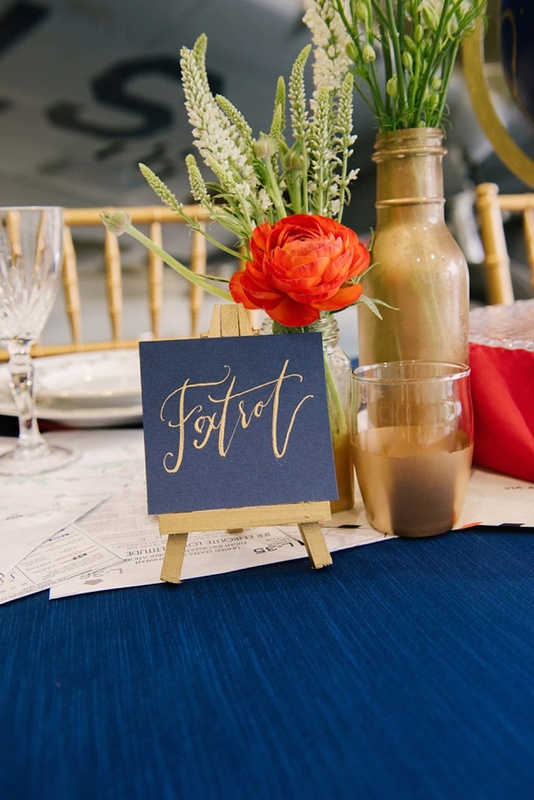 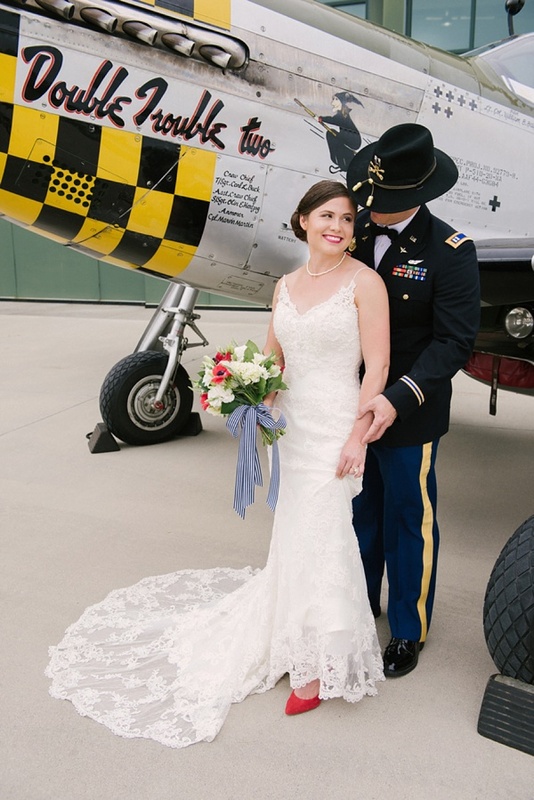 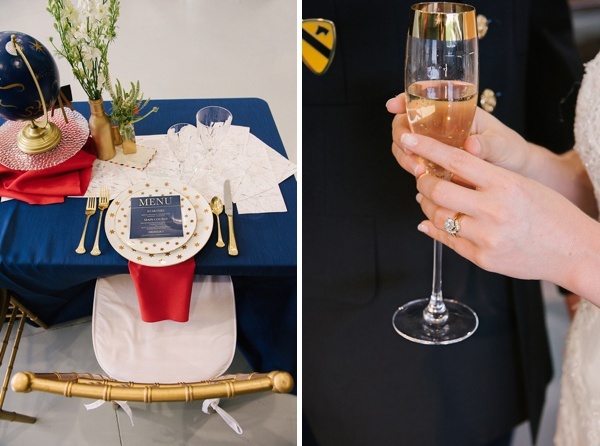 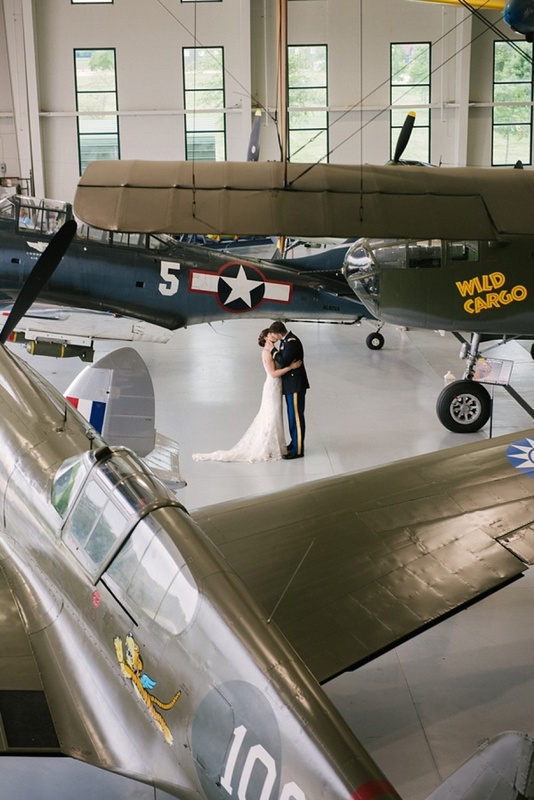 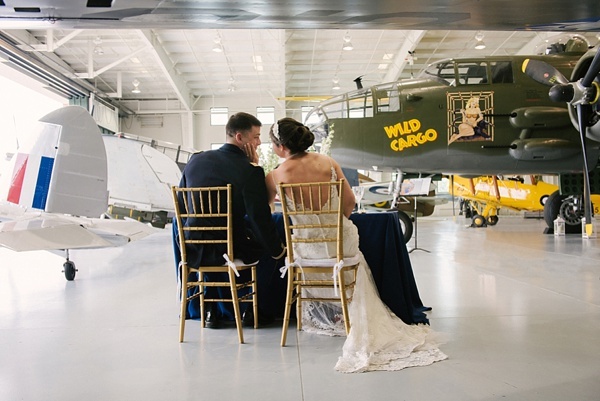 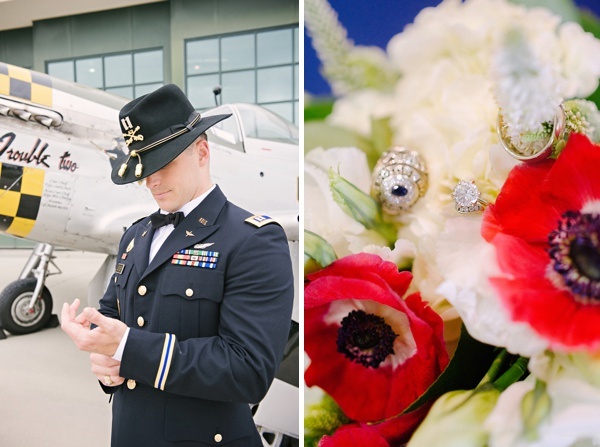 As we tend to celebrate our military and its historical role when it comes to our federal holidays, it was only perfect that Memories by Mere Photography, Two River Events, and Aleen Floral Design conceptualized a Fourth of July-inspired wedding surrounded by all things flight at the Military Aviation Museum in Virginia Beach. 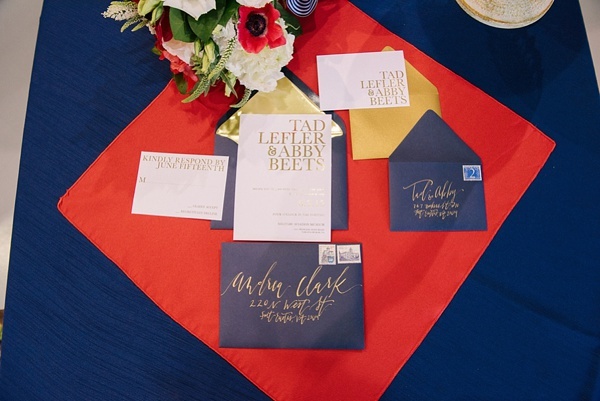 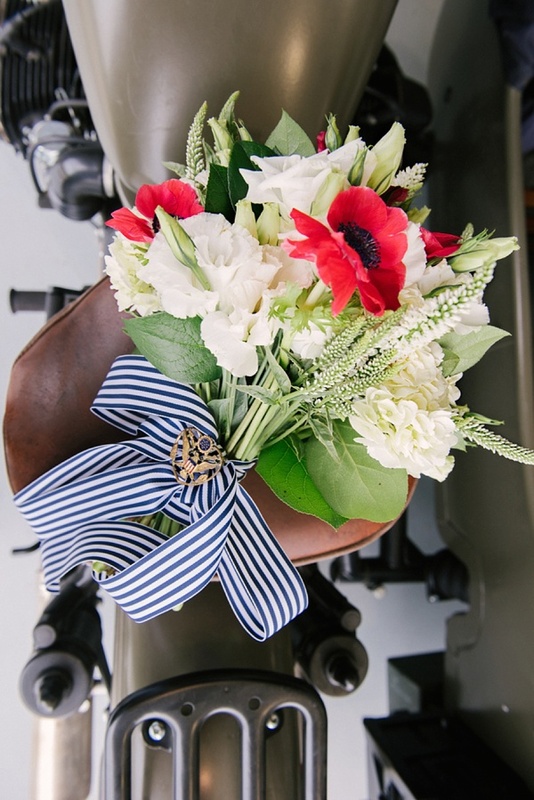 With navy blue and golden hues, the stationery from Foil and Ink Design lends a clean-cut modern touch to the iconic fighter planes in the backdrop while the red anemones nestled within the bouquet of green and white pay subtle homage to the symbolic Remembrance Poppy. 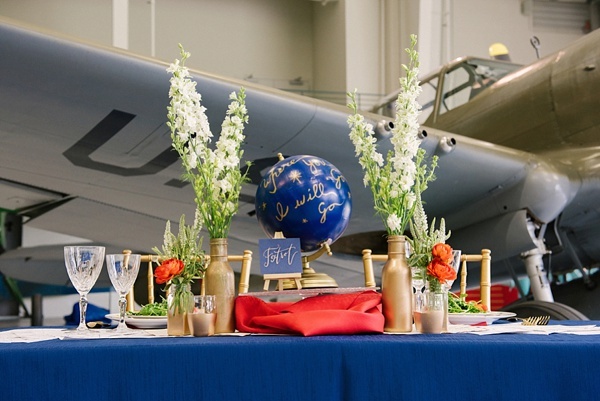 A beautiful tribute to the biblical Ruth's declaration of "Where you go, I will go" is the perfect calligraphy quote wrapped around the sweetheart table's painted globe centerpiece... all made perfect with the radio communication jargon "Foxtrot" table number! 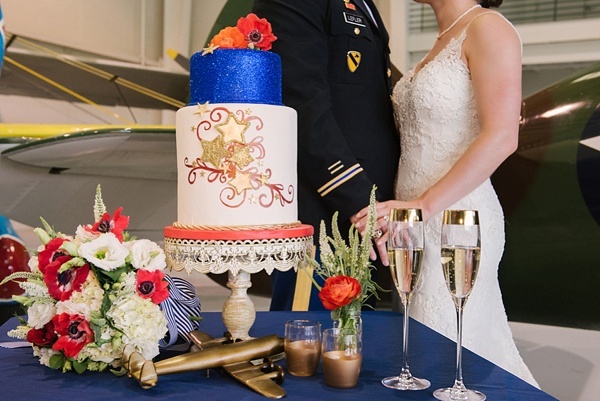 And no Independence Day inspiration shoot is without a vibrant fireworks-inspired cake! 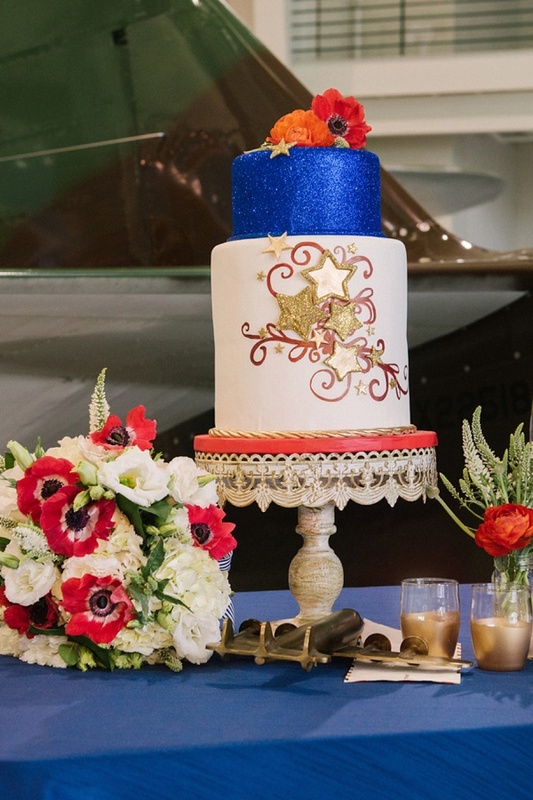 With gold rope spun out of sugar and an edible sparkly blue top tier by Cakealicious Design Studio, this wedding cake along with the golden planes, flight plan-inspired table runner, dapples of air mail here and there, and so much more will definitely make any wedding couple stand at attention! 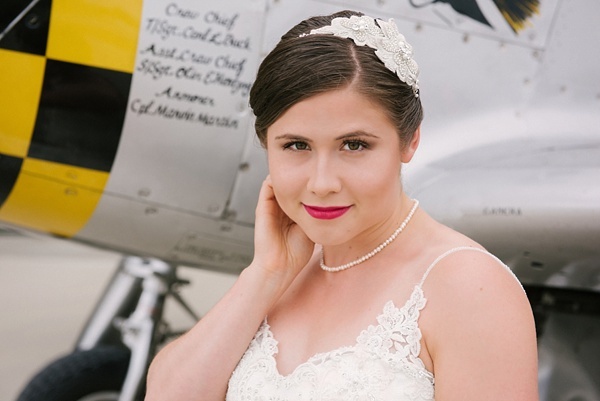 Memories by Mere Photography and High Voltage Hair are local wedding champs in the Tidewater and Tulle Vendor Guide.